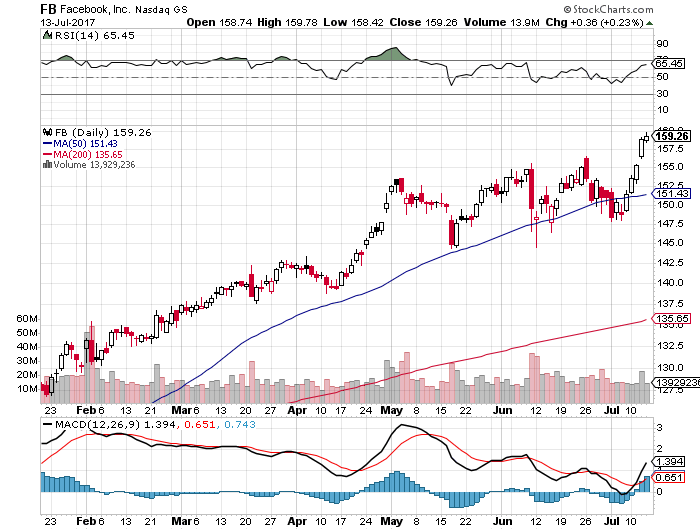 Well Facebook(FB) has hit an all new time high today as it rallies with the market. It's now just $27 billion shy of being worth $500 billion, or a a roughly 5% move. I'll take a wild guess here and say the stock eclipses that mark this year. It might not be next week, but there's still a lot of time left in 2017.